Dining out with the kids doesn’t have to mean heading to the nearest fast food restaurant and getting out as quickly as possible. Boston has several family-friendly restaurants that keep little ones in mind. Whether it’s a boisterous neighborhood spot with a fun kids menu or a renowned restaurant that lets kids eat free, here’s where to go for a great meal with kids in tow. 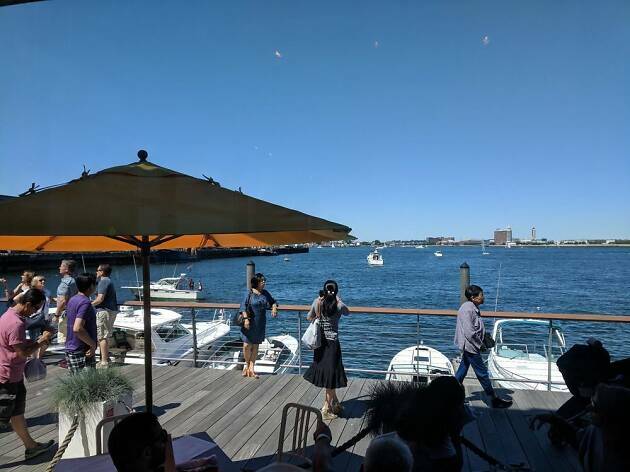 Before heading out, pick an activity from our list of the best things to do with kids in Boston or the 50 best things to do in Boston, and check out the best desserts in Boston for an after dinner treat. For nights when it’s too much to go out, try ordering from Boston’s best delivery options. 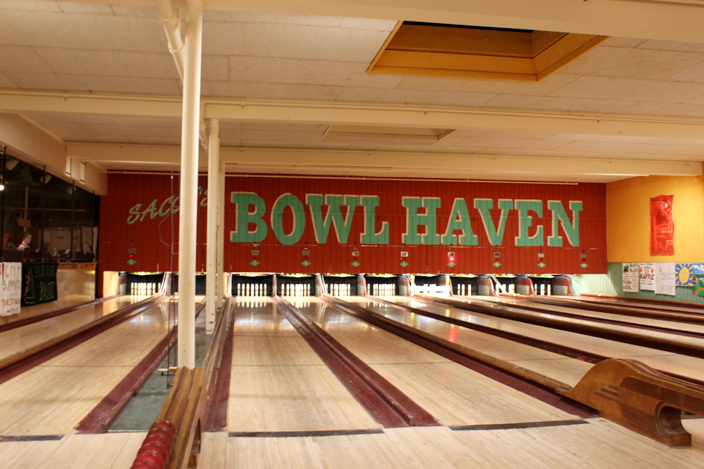 With its colorful decor and friendly vibe, this Cambridge joint always feels like a New England clam shack in the peak of summer. 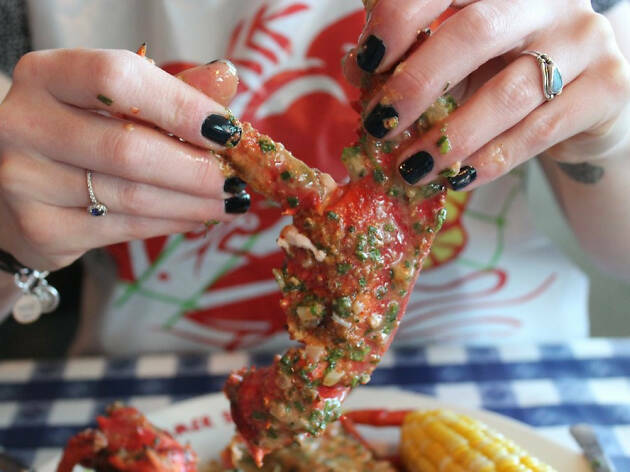 Fresh seafood dishes like wood-grilled lobster or fresh oysters will please parents, while kids can dig in to fish and chips, grilled cheese, or clam chowder. Grab a bucket of crayons and paper to keep them entertained. On weekends, look out for themed brunches like Star Wars or Superhero that feature plenty of activities for kids. Designed with kids in mind, Full Moon is set up to allow parents to enjoy good food while their kids are entertained. The laid back vibe sets parents at ease while kids can freely play in a well-stocked play area. The menu is creative and flavorful, with items like Moroccan chicken stew, lamb skewers, and avocado toast. Kids can choose from favorites like hot dogs, quesadillas, and chicken fingers, all with a healthy side of fruit and veggies. When you’re looking for a great meal with kids in tow, it’s hard to beat Tony Maws’ Kirkland Tap & Trotter. The casual, friendly vibe is welcoming to little ones, and they eat free Sunday through Thursday from 5:30pm to 6:30pm. 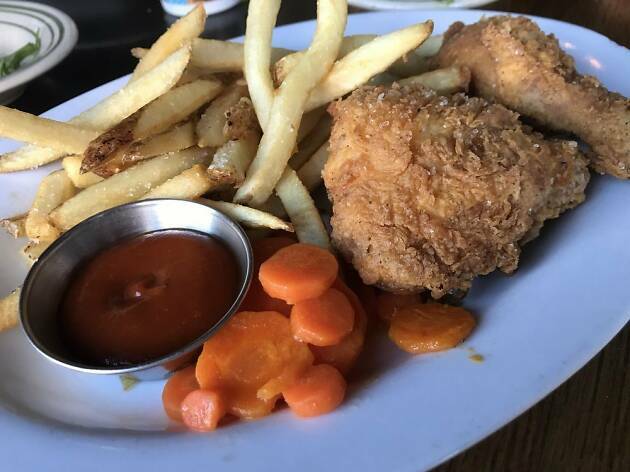 Adults can choose from standouts like sirloin or swordfish skewers, pork and miso udon noodles, and house-made pasta with lamb ragout, while the kids menu features house-made treats like spaghetti and meatballs, crispy fried chicken, and fish and chips. Photograph: Courtesy Yelp/Jociane A. H.
This chocolate bar and restaurant, with its spread of chocolate confections and extensive menu of hot chocolate options (served in a “huggable” mug), can make anyone feel like a kid again. For actual kids though, the experience is extra special. 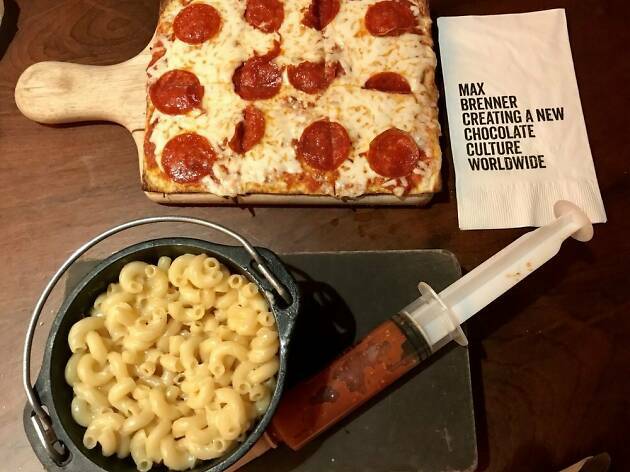 The kids menu is designed like a storybook, with options like The King of Chocolate’s Crispy Mac & Cheese, The Palace’s Smiling Pizza, Melting Marshmallow Crepe, and a Huge Chocolate Shot (an actual syringe filled with a “chocolate potion”). The large restaurant offers many seating options and is great for larger groups of kids. 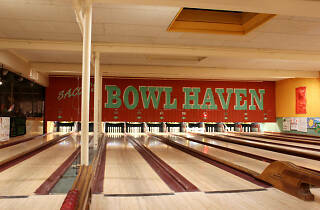 What’s better than pizza and bowling for a night out with the kids? Flatbread’s wood-fired pizzas are high quality, with local and organic ingredients, so parents can feel good about pizza night. 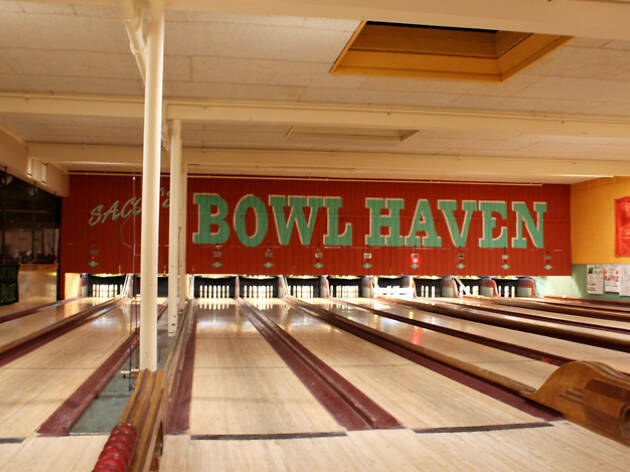 Plus, the whole family can enjoy a round of candlepin bowling. Afterwards, kids will love desserts like Matt’s Maine Root Beer Float and Barbara’s Homemade Ice Cream Sandwich. 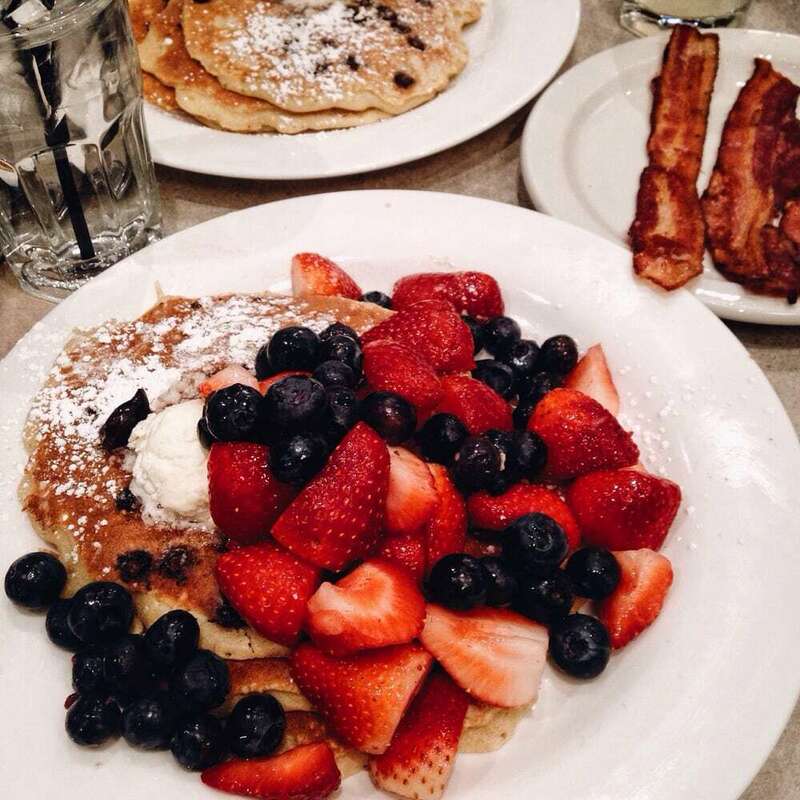 This long-standing neighborhood favorite in Beacon Hill offers a kid-friendly, cafeteria-style breakfast spread that’s great for families. The special kids dinner menu includes standards like mac and cheese, pasta with butter, and chicken tenders. 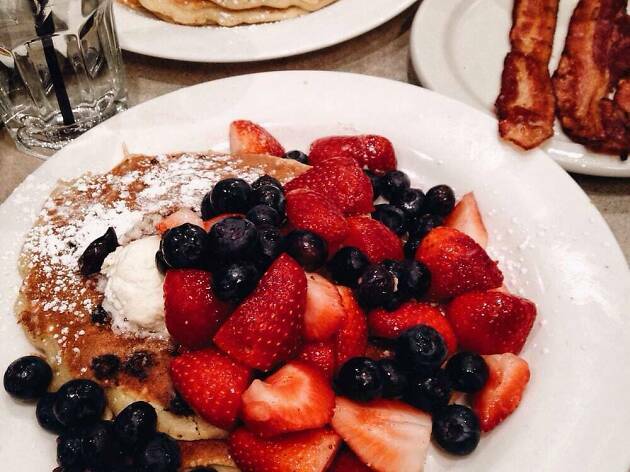 Plan ahead for Sunday brunch, when there’s always a crowd. Legal Sea Foods’ flagship location has three floors, each with a different dining experience. The casual first floor dining area is the best bet for kids, with plenty of seating. They can wander outside to check out boats in the harbor or watch the shucking action at the oyster bar. The kids menu has staples like pizza and chicken fingers, but also more Legal fare like kid-friendly wood grilled seafood options. For a healthy, great-tasting meal, this eclectic cafe fits the bill. Even kids will enjoy smoothies, grain bowls, and fresh hummus. 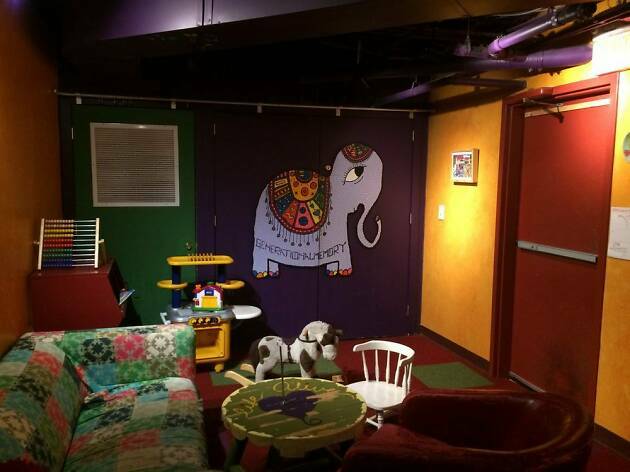 The Cambridge location has a colorful kids area, with small tables, chairs, and toys. 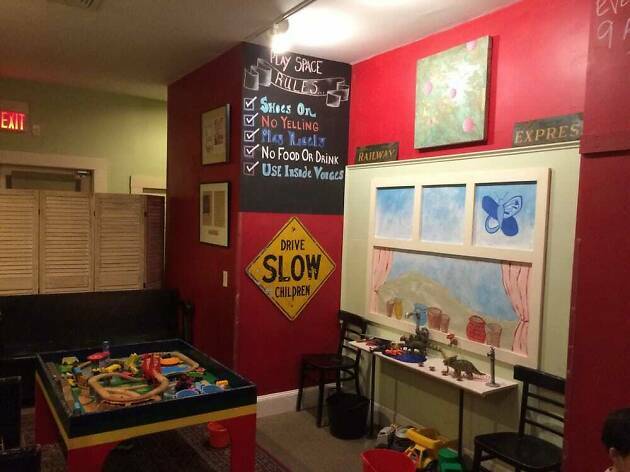 It’s a great place to stop and refuel with a healthy treat while the kids stay entertained.